Big Band Library: September 2011 "Big Band News"
Lionel Hampton. "Lionel Hampton & The Golden Men of Jazz," Kultur. 79 minutes. Corning Civic Music Association, Corning, NY. Jimmy Dorsey Orchestra directed by Bill Tole. Sept. 10, Huntingdon, TN. Les Elgart Orchestra directed by Russ Dorsey. Sept. 29, Hurst Activity Center, Hurst, TX. (private), Columbia, MO; Sept. 18, Crystal Ballroom, Staunton, IL. Cumberland County Playhouse, Crossville, TN. Valerie Duke, the female vocalist who has recently been getting much praise for her work with The Glenn Miller Orchestra directed by Gary Tole this year, has left the band unexpectedly. The search is on for her permanent replacement. The Miller Orchestra is also looking for a new male vocalist, as Brian Hemstock will be getting married soon and plans to leave the group in 2012. "This is the centennial celebration you've been waiting for!," Claire Schwartz, co-founder of The Vaughn Monroe Appreciation Society, exclaims. "We would like to invite you to attend a celebration of Vaughn Monroe, his life and his music, with others who appreciate exceptional talent and good taste." Monroe was born 100 years ago this October, and, to mark the occasion, Schwartz and the "moon racers" have planned an extended weekend at the Meadowlands Plaza Hotel in Secaucus, NJ (just across the river from Manhattan), including a dinner buffet on October 8th. Since launching the Society in 2001, there have been three successful gatherings - at Indiantown, FL in January 2005; Boston, MA in May 2007; and New York City in May 2009. For more details, contact Schwartz via info@vaughnmonroesociety.org. Classic Jazz (New York City: William Morrow & Co., Inc., 1982). (various studio dates) / "Billy May Today" '66 LP / Time-Life "Swing Era" '69-'72. After 34 years, Big Bands International, from the United Kingdom, has ceased publication. A dwindling subscription list, the deaths of BBI Founder Roy Belcher last November and Publisher Tony Mundell this past June, and the costs of printing were blamed. guesting with Percy Faith's orchestra on Night Creature. the age of 65 on February 10, 2009.
trumpeter with Henderson '26-'30; Ellington '34-'46; and Barnet '46. Charles De Stefano. "On the Road with your favorite bands," Glenn Miller Productions Inc.
No.3 / Sept. 2011, pp.21-23. the Covina Center for the Performing Arts from the 8th through the 10th of this month. Poster was a former trumpet player with James. future for this music - because where is the new audience coming from?" Teagarden's Orchestra," IAJRC Journal, Vol.44, No.3 / Sept. 2011, pp.31-35. Dunne, and pianist Ernest Hughes. International, No. 235 / Sept. 2011, p.5. In the "News" next month, a big list of late 2011 CD releases of Armstrong, Basie, Carter, T. Dorsey, Ellington, Goodman, G. Gray, C. Hawkins, Kenton, Norvo, and others - even two long out-of-print albums by The Jimmy Dorsey Orchestra directed by Lee Castle. 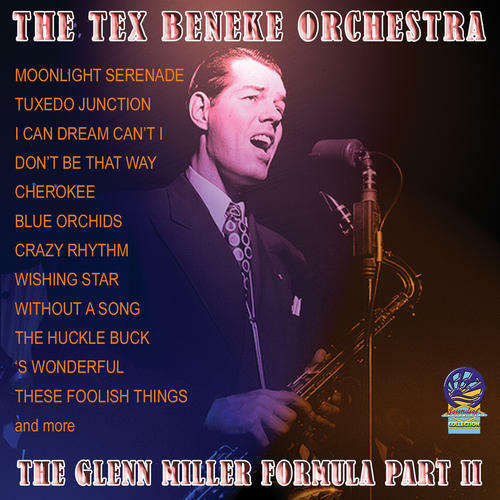 The new Beneke disc (DSOY864), with a handsome photo of Tex holding his tenor saxophone and singing into a microphone, continues what Highton started recently with his first "Glenn Miller Formula" CD (DSOY846). It includes over two dozen more of Beneke's Thesaurus for-radio-only transcriptions, and some of them, such as Tuxedo Junction, The Hucklebuck, and Blue Orchids, have been especially elusive to collectors over the years. Never before have the Thesaurus recordings been gathered as complete sessions, until Highton began this present series. I can recommend their purchase without hesitation, and hope that Highton can see the entire run of them through! The Miller disc (DSOY863) is more of a mixed bag, offering songs as performed by various male vocalists (Tony Martin, Artie Malvin, Johnny Desmond, Garry Stevens, and Glenn Douglas) with variations of Glenn's AAF ensemble, and then offering, in toto, Desmond's 1959 Columbia LP "Once Upon a Time" (CS 8194), for which one of Miller's wartime arrangers, Norman Leyden, conducted. Although the Desmond recordings were already issued on CD in 1995 (Columbia [ UK ] 481016), together this new Sounds of YesterYear CD makes for an interesting comparison of how these songs were interpreted by the different singers. 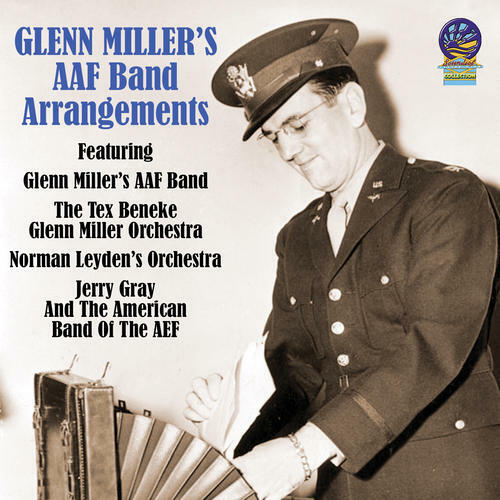 Michael Highton, a devoted aficionado of Tex Beneke and longtime member of The International Glenn Miller Society headquartered in London, England, continues to produce desirable CDs for Sounds of YesterYear, the two latest titles being "The Tex Beneke Orchestra: The Glenn Miller Formula Part II" and "Glenn Miller's AAF Band Arrangements." in Paris and Love Is Here to Stay. 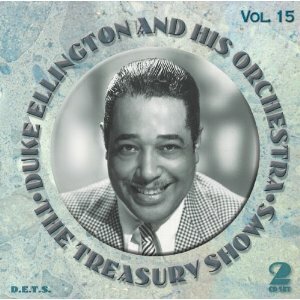 Duke Ellington. "The Treasury Shows, Volume 15,"
DETS [ Sw ] 903 9015. 2-CD set.